The new Chevrolet Corvette is the ultimate American Sports Car. Get your heart racing and your adrenaline pumping in the new Chevy Corvette, the performance vehicle giving race cars a run for their money. Peek under the Corvette ZR1’s hood and you’ll discover a 6.2-liter supercharged V-8 that cranks out 755 horsepower and 715 pound-feet of torque. 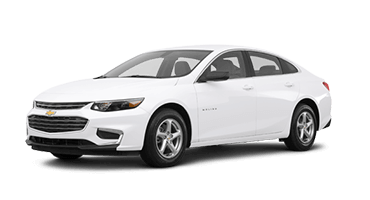 Chevy built this powerhouse for extreme speed, shooting to 60 mph in under three seconds. 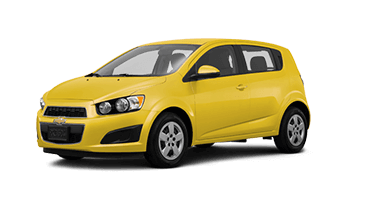 It’s the sports car you’ll love being seen in whether you’re tearing up the racetrack, commuting to work in Birch Run, or meeting friends for drinks in Bay City. Chevy designed the new Corvette for optimal performance. 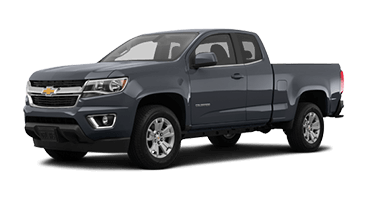 Every line and curve ensures superior aerodynamics, and a functional hood air extractor reduces front-end lift at high speeds. Slip inside and fall in love with the Corvette’s luxurious details, including Nappa leather GT seats, premium hand stitching, and stylish carbon-fiber trim. All this and more awaits you in the new Chevy Corvette. 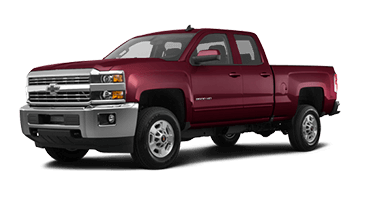 Come test drive it today at Garber Chevrolet Saginaw. Classic. Elegant. Breathtaking. These are just a few of the words that come to mind when your eyes land on the new Chevy Corvette. Every line and curve provides superb aerodynamic efficiency while casting a visual presence only the Corvette can. The new Chevy Corvette optimizes performance by maximizing aerodynamics. This performance car’s hood air extractor reduces lift to improve high-speed handling. The new Chevy Corvette has available rear intake vents that help keep things cool by guiding air to the transmission and rear differential. Chevy designed the new Corvette as a convertible from the start with sleek lines that ensure high performance, even with the electric top lowered. Dominate the roads with the Chevy Corvette’s bi-xenon high-intensity discharge headlights. These innovative headlights improve visibility in low-light settings while the LED daytime running lights ensure no one misses Corvette in broad daylight. Make this legendary sports car yours with personalized modifications. 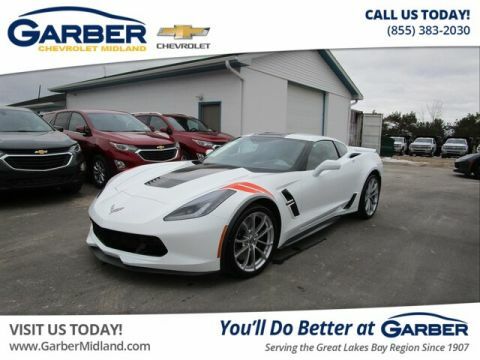 Choose from four Corvette models, an array of colors, and countless wheels and accessories to make your Corvette feel one of a kind. Sit back and prepare for takeoff in the new Chevy Corvette. This sports car surrounds you in luxurious details, including premium Nappa leather, dual-zone climate control, and a driver-oriented cockpit with GT sport seats. 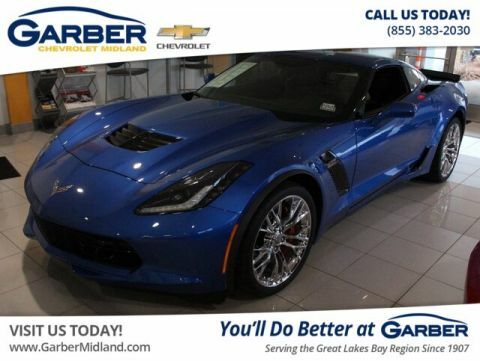 From the moment you slip behind the Chevy Corvette’s wheel, premium Nappa leather, precision hand-stitching, and stylish carbon-fiber trim surround you in the luxury you crave. Keep the Chevy Corvette’s interior the perfect temperature with dual-zone automatic climate control. 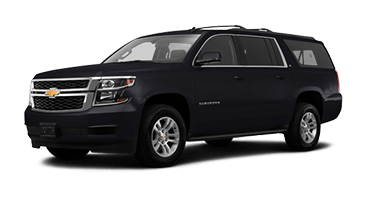 You and your passenger maintain individual temperatures so you both ride in comfort. 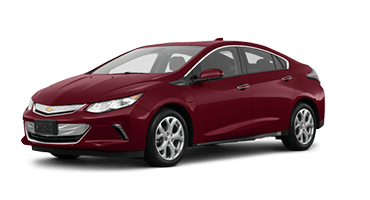 Precision driving in the Chevy Corvette focus, and it shows in the available Competition Sport seats with pronounced side bolsters for extreme grip when cornering. These heated and ventilated seats also surround you in comfort as you tear up the racetrack. Put your stamp on a piece of automotive history with a personalized interior nameplate plaque. This available center-console-mounted plaque features your name, the vehicle identification number, and the Corvette logo to show this new Chevy Corvette belongs to you. The new Chevy Corvette’s steering-wheel-mounted controls let you activate cruise control, adjust music volume, and answer calls without removing your hands from the wheel. 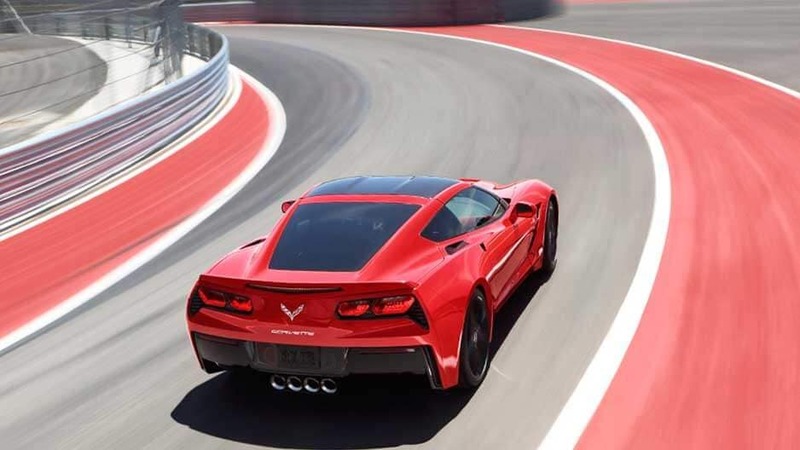 The new Chevy Corvette leads the way in advanced technology with its Chevrolet Infotainment System, 4G LTE Wi-Fi, and performance data recorder that ensure the fun never stops. 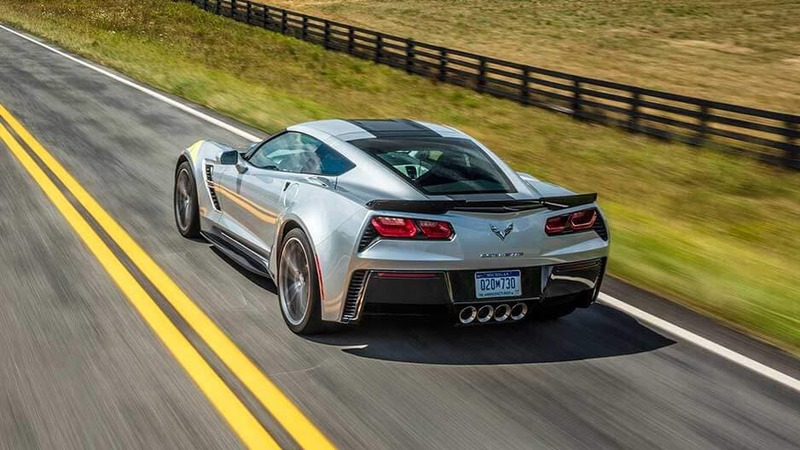 The Chevy Corvette moves fast – too fast to take your eyes off the road. 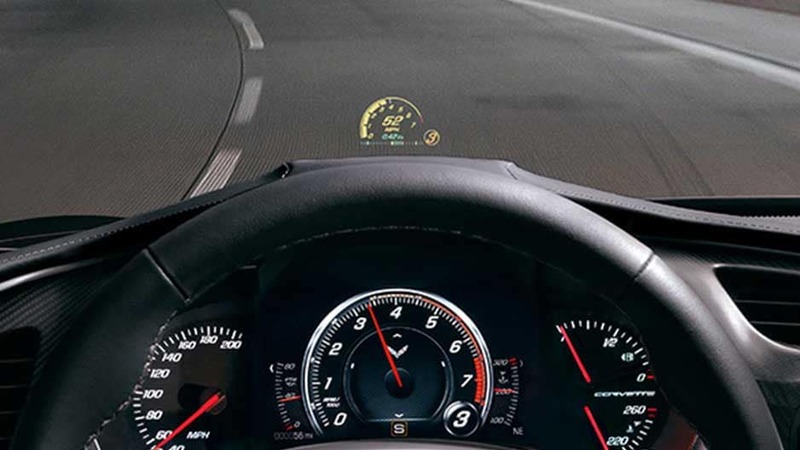 That’s why it features an available head-up display that projects dashboard information like speed, RPM, and directions in your line of sight on the windshield. 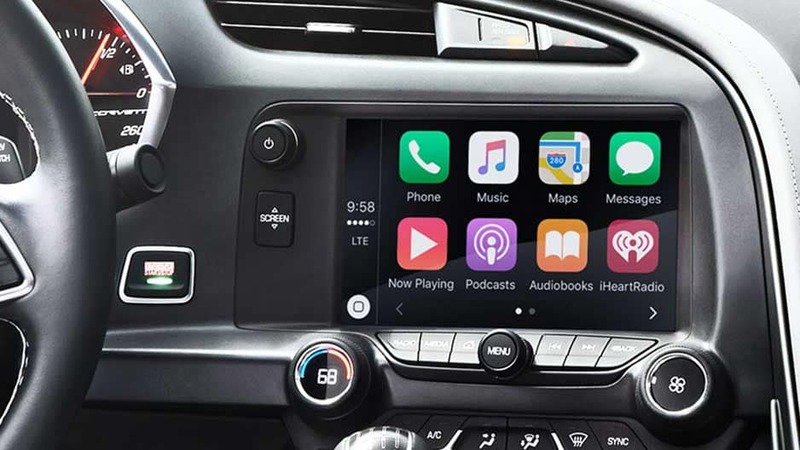 Sync your smartphone to the Chevy Corvette’s Chevrolet Infotainment system and enjoy your favorite phone functions on the 8-inch touchscreen, including streaming music, hands-free calling, and turn-by-turn navigation. Stay connected while racing around the track with the Chevy Corvette’s available 4G Wi-Fi hotspot that supports up to seven devices. Chevrolet offers the new Corvette with available Bose Advanced Audio. This system features 10 speakers and a subwoofer in the cargo area to surround you in crisp, concert-quality sound worthy of the Corvette’s legacy. With the Chevy Corvette’s available performance data recorder, you can record videos of your driving sessions with real-time performance data to play back, share, and analyze your driving experience. Whether you’re racing around the track or picking up a date on a Friday night, you can drive with peace of mind that the new Chevy Corvette has your back with a plethora of advance safety features including standard airbags, a rearview camera, and OnStar®. 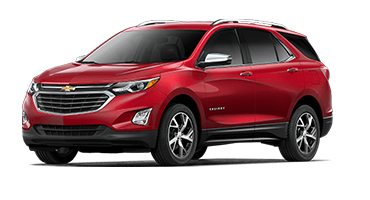 Nestled within the Chevy Corvette’s lightweight, aluminum structure is a series of standard airbags to keep you safe from all angles in a collision. With the Chevy Corvette’s rearview camera, you can back out of any parking spot without breaking a sweat. 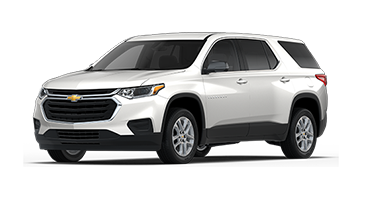 When you shift into reverse, the 8-inch touchscreen displays a live feed of the area behind you with guidelines to lead the way. Chevrolet offers the new Corvette with an available curb-view camera. 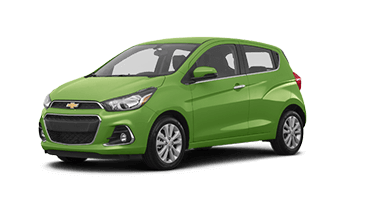 While traveling forward at low speeds, the touchscreen displays a view of the area ahead so you can avoid bumping objects while parking. The new Chevy Corvette offers available Brembo front and rear performance brakes. 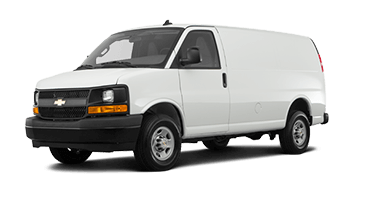 These four-wheel anti-lock brakes prevent wheel lockup so you can maintain control during hard braking, even on slippery surfaces. 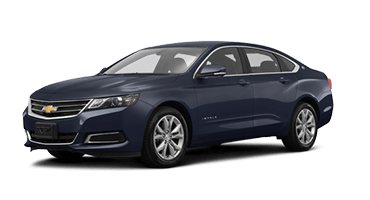 In the event of an accident, you can rely on the new Chevy Corvette to have your back with available OnStar Automatic Crash Response. Within moments of a detected collision, an OnStar agent will contact you to ensure you’re OK and notify emergency personnel if you’re unresponsive. Snarling performance. Impeccable handling. Addictive speed. The new Chevy Corvette blends everything you want in a sports car while adding a little finesse for good measure. Choose from four ferocious Corvette models and prepare to make the roads yours. The Chevy Corvette Stingray features a powerful 6.2-liter V-8 engine that kicks out 460 horsepower and 465 pound-feet of torque. This engine helps sprint the Corvette to 60 mph in just 3.7 seconds. Chevy designed the Corvette Grand Sport to dominate the track since its inception in 1963. 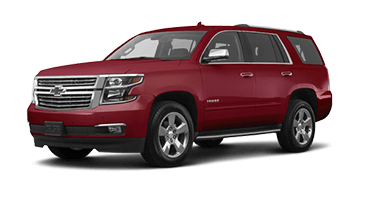 Grand Sport’s latest model keeps the classic styling enthusiasts love while upping its performance in a big way with the same 460-horsepower 6.2-liter V-8 engine as the Stingray. Chevrolet developed the new Corvette Z06 alongside the C7.R race car, to ensure it will leave you breathless. This performance car features a 6.2-liter supercharged V-8 engine that delivers 650 horsepower and launches the Corvette to 60 mph in under three seconds. The new Chevy Corvette ZR1 is the fastest Corvette ever with its 212 mph top speed. 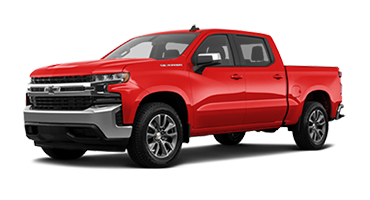 This is all thanks to its 6.2-liter LT5 supercharged V-8 that kicks out 755 horsepower and 715 pound-feet of torque. Now that’s power. 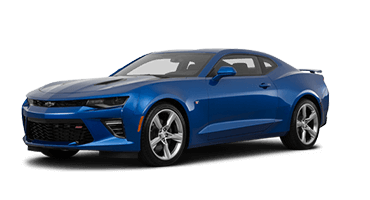 Chevy offers the new Corvette with available Magnetic Selective Ride Control that monitors the road every millisecond and adjusts the suspension for high-performance driving without sacrificing comfort. Innovative suspension fluid containing metal particles becomes rigid in an instant, allowing you the control to carve up corners while keeping your ride smooth. Tailor your driving experience for any driving style with the Chevy Corvette’s available driver mode select. Turn the dial to choose between weather, eco, tour, sport, and track modes, and the Corvette will electronically adjust up to 12 variables to ensure optimized performance. based on Critics’ Rating of vehicle. 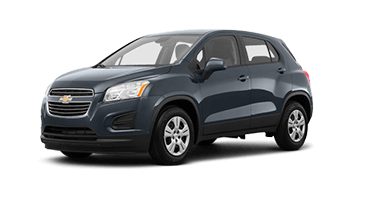 one of Edmunds Most Popular and Best Retained Value vehicles. Do you crave the power that gets your heart racing and adrenaline pumping? What about sophisticated luxury and contemporary elegance? 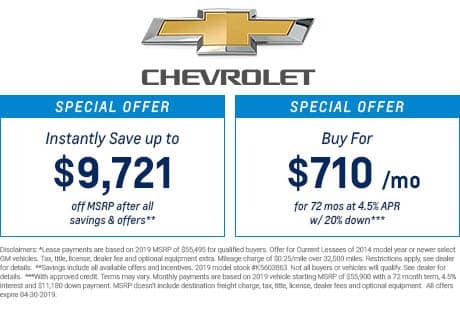 If you said yes, then it’s time to discover the new Chevy Corvette, the legendary performance vehicle that gives race cars a run for their money. You will want to take the long way home once you’re behind the wheel of this legendary powerhouse. The new Chevy Corvette is one fun ride, whether you’re racing through the city or cruising with the top down. 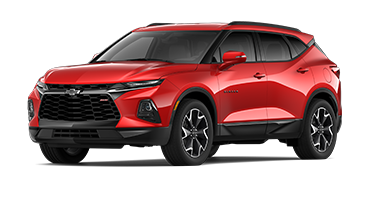 Chevrolet paired the Corvette with the latest in advanced technology, including 4G LTE Wi-Fi and the Chevrolet Infotainment System to ensure you’ll never have a boring ride again. 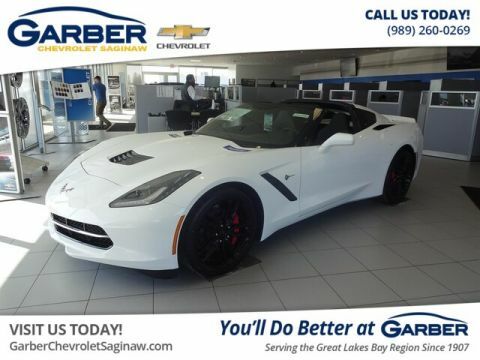 Seeing is believing, so come experience the majesty of the new Chevy Corvette for yourself with a test drive today at Garber Chevrolet Saginaw.